Do you know the tragic story of Hard Rock Park? I’ll keep it quick: A decade ago, just as the 2008 credit crisis was hitting, a multi-million-dollar classic-rock-themed amusement park opened in Myrtle Beach, South Carolina. It featured rollercoasters dedicated to Led Zeppelin and The Eagles, a sensory-overloading ride based on The Moody Blues’ love song “Nights in White Satin,” and live performances from a family of metal-playing bears, called Bear Metal Family (sample lyrics: “Look out, Yogi/step back, Smokey/Country Bears are too hokey-pokey”). Not surprisingly, Hard Rock Park did not simply fade away—it collapsed, brought down by various economic struggles. Until a few months ago, I barely remembered it existed. Now I occasionally find myself searching through Flickr photo pools of its early days, or watching dead-park videos chronicling its sad afterlife. Despite having never been an amusement-park nerd, I’m now a casual expert about Hard Rock Park—a place I’ve never visited, and never will. I’m even considering buying a thinly veiled, semi-scandalous novel about the park, written by an ex-employee. 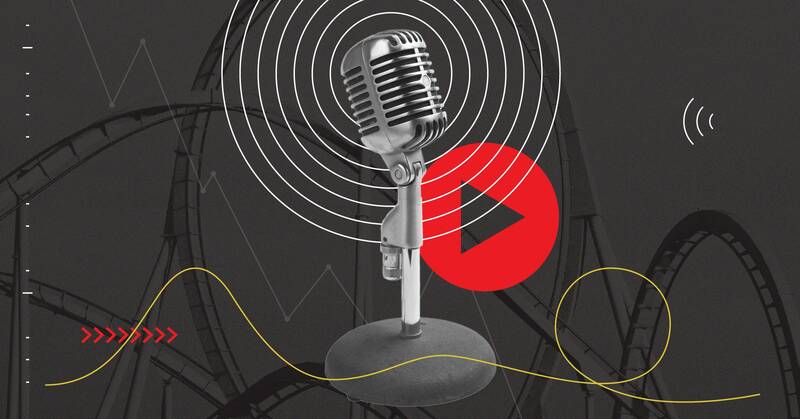 There’s a reason for this sudden mid-life fixation: Podcast: The Ride, a weekly series in which three hosts—Mike Carlson, Scott Gairdner, and Jason Sheridan—discuss the history of various parks, live shows, and other forms of recreation. They’ve gone deep on the history and ride-ability of everything from Waterworld: A Live Sea War Spectacular to Disneyland’s Great Moments with Mr. Lincoln. In September, they embarked on a daily, 19-episode series documenting every single attraction at the Universal CityWalk in Los Angeles. I have little free time in my life, and have invested a total of about 20 minutes at Universal—mostly in the parking lot. Yet so far, I’ve managed to listen to seven hours of the CityWalk series, which includes a cultural overview of Hot Topic, as well as a fact-packed digression about Jon Lovitz’s failed comedy club. By the time you read this, I’ll probably have finished the whole ridiculous thing. There’s a lazy joy in getting caught up in other peoples’ obsessions—the kind of pursuits that are often shared nowadays in first-person podcasts and YouTube videos. Getting sucked into a show like Podcast: The Ride—or Slow Burn, or You Must Remember This—is akin to being a remora with a Stitcher account: You cling to your expert host(s) for hours on end, picking up spare strands of knowledge along the way, and dropping off when you’ve had your fill. It’s autodidactism at its most addicting, letting you learn at your own clip, without ever having to worry about a quiz at the end (though if someone were to hand me a multiple-choice test on the troubled history of The World of Sid and Marty Krofft, I probably wouldn’t be in the land of the lost, scoring-wise). And the info-immersion often feels endless. After listening to Podcast: The Ride, I found myself watching YouTube documentaries by Defunctland, a channel dedicated to theme-park history and lore: It has not one, but two videos documenting the troubled saga of Universal Studios’ Jaws ride. Those led me to a Reddit AMA by a former Jaws-ride employee in Orlando, after which I realized there was a recently published book-length history of the attraction. It’s the kind of web-enabled, brain-feeding quest that could go on forever. The ride never shuts down.